Born Daniela Niederer, Nora En Pure‘s native South African roots blossom through her productions, defined by deep bass lines, soulful melodies, dramatic instrumentals, and an overall tropic feel. Daniela’s following saw a major boost in 2013 after the release of her appropriately titled EP, “Come With Me,” and her reach only continues to grow. 2016 has proven to be a busy year for Nora En Pure. 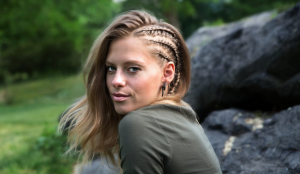 She has released a string of singles, such as The Beach, Sleeping In Bed, Zambia, and Lake Arrowhead while also maintaining a bi-weekly radio program, “<https://soundcloud.com/noraenpure/purified”>Purified Radio,” showcasing her current inspirations. A few months back we had the opportunity to speak with Daniela, discussing the intricacies of her career so far. Nora En Pure returns to our Bang Bang home, Friday, November 25th. You can find tickets here. What is the story behind the name Nora En Pure? Back then I wasn’t even sure that something would actually come of making music, so I just chose something spontaneously! I wanted it to be catchy but still different and exotic and the ‘pure’ emanates my style of music. Warm and uplifting vibes seems to be your mantra – where did your sound originate? I am originally South African, so I definitely find inspiration from my roots. A lot of people mention that my music makes them want to be by the beach, or traveling somewhere tropical. I am happy when I hear that, because that’s definitely what I want to achieve in some of my tracks. What lead to your relocation to Switzerland? You recently produced a remix of Seeb’s ‘Breathe’. How did you two link up and what were some of your inspirations behind the remix? You have stated that Nirvana’s ‘Nevermind’ was the first album that you purchased. What is your favorite track from the album? As a fan of classical music, who are some of your favorite composers? Yes, I am indeed. It makes a really nice change to listening to dance music. But I prefer the “calmer”, simpler type of classical music or soundtrack music. This music helps me greatly to relax for example on my flights. Some of my “easy listening” favourites are pianists like Ludovico Inaudi and Yiruma. I’m madly in love with compositions of Frans Zimmer. You have recently announced your No Xcuses residency in Ibiza along side EDX. Describe the relationship between the the two of you? We were both living in Switzerland, and it being a small country with not too much musical output, it was inevitable that we would end up crossing paths one day. He encouraged me and supported me from beginning. Now we are both part of the Helvetic Nerds, which is a group of Swiss based artists that have built up a couple of labels together for different genres. Independent from the genre, music of the helveticnerds has its own style with warm synths and funky baselines that we try to carry out into the world. What is your favorite activity outside of music? I dont play all those instruments that you hear in my tracks, but I learnt the flute and basic piano when I was younger, took singing lessons & music theory. But many things that I know or do today I learnt by doing, watching tutorials on YouTube or so. As a worldly traveler, how would you describe the California music scene? For me the people are extremely curious and looking for new music constantly. I feel they are quite well educated. At least for me its great fun to play there, people always know all my stuff. I sometimes play sets with like 70% NEP remixes & originals and people totally feel it. Difficult to say, I am often torn between different things. The travelling, hearing other artists play always makes me want to explore new directions, then again I definitely want to stick to my sound as it has kind of its own character. I started with music before touring so now I get many more & different inputs. 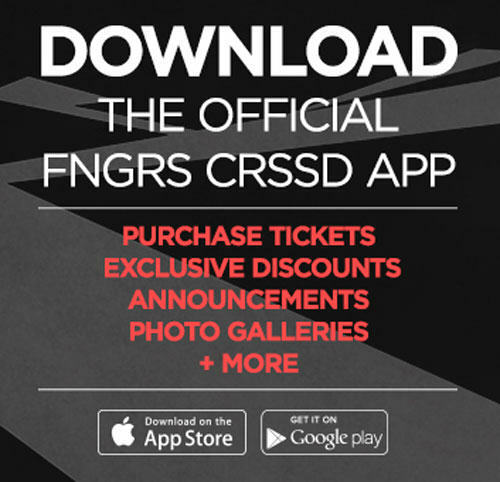 © 2019 FNGRS CRSSD. All rights reserved.